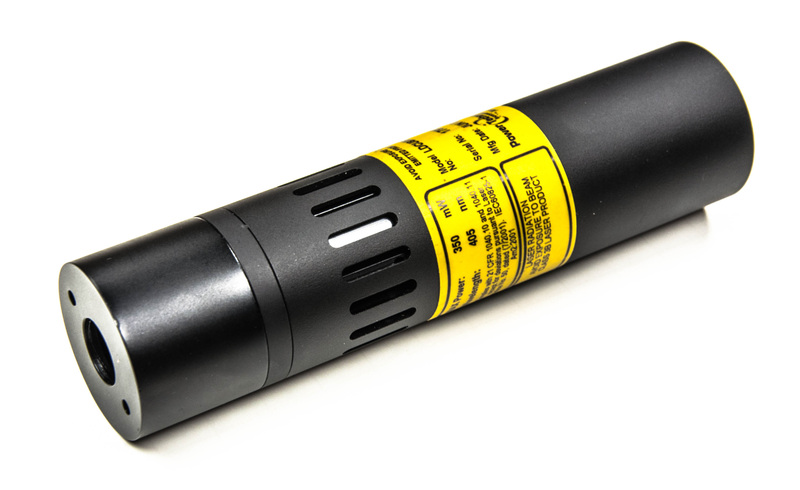 Instrument Quality (IQ) laser module for analytically applications. Circular and Elliptical beams. For those applications requiring the ultimate in temperature stability, the IQ1C features a precision current source and PID loop to control thermoelectric cooler output. Such exceptional temperature control makes our Instrument Quality units ideal for the most demanding applications, including confocal microscopy, interferometry, Raman spectroscopy, and flow cytometry. IQ series modules can deliver up to 1000mA of drive current to 9mm or 5.6mm laser diodes and can operate in either constant current or automatic power control mode. Each allows for DVM-compatible monitoring of temperature and drive current parameters. The IQ1C is available with an elliptical beam or a round beam achieved via microlensed diode. Also available is our IQ2C, which incorporates anamorphic correcting prisms to produce a circularized beam. This is a configurable product. Users can configure the laser module platform with a laser diode to achieve the best product configuration for your application.